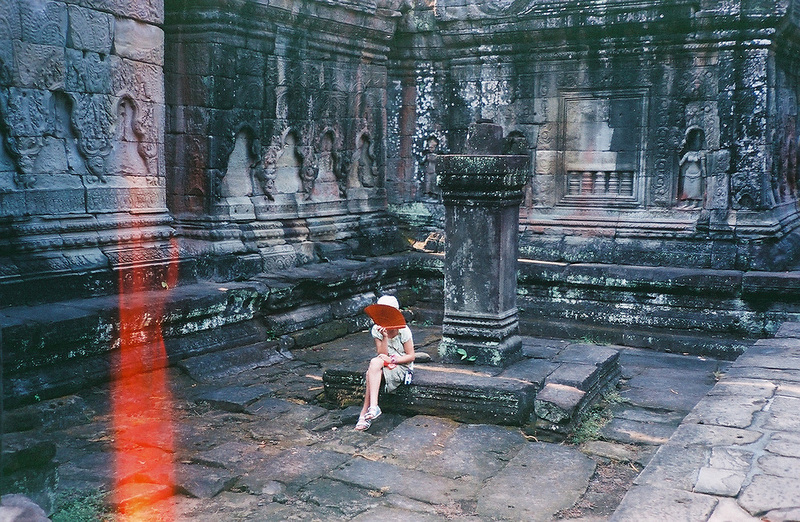 My daughter Nina is sitting in a temple fanning herself as it was very hot. Very nostalgic. I miss the days when my children were young and together we discovered new places, new cultures. I think they will like the red fan and wonder what the child's expression is behind it.